Berthoud, CO, Local artist Tyler Kennedy celebrated selling his 8000th print reproduction of his paintings on Thursday, May 27. 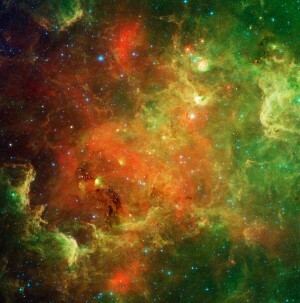 To commemorate the milestone, he announced a contest to name his newly released painting. 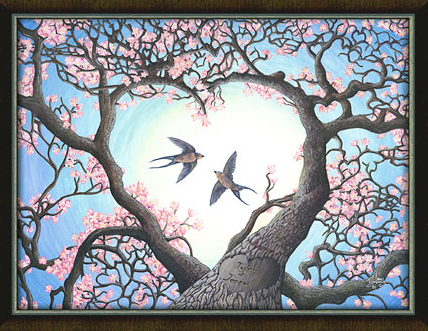 Tyler’s newest painting is a romantic piece featuring two barn swallows gliding above a blossoming plum tree (see attached), and can be personalized with names “carved” in a heart at the base of the tree. To submit an entry, email your title entry and contact information to tyler@solsticearts.com. He will select the winning painting title at the end of June, and the winner will receive a free personalized framed print. Following High School, Tyler began college at Pepperdine University in Malibu, CA and finished at DePauw University in Greencastle, IN with a BA in Economics and Communication. While in school, Tyler continued to paint his work was published by Solstice Arts – a local art publishing company. More importantly, Tyler married his wife of 4 years Jennifer during their junior year of college. After working several years in Ohio, the Kennedys moved back to Northern Colorado where Tyler accepted a position as Marketing Director at Solstice Arts located in Berthoud, CO. For more information about the company and artist, visit www.personal-prints.com.